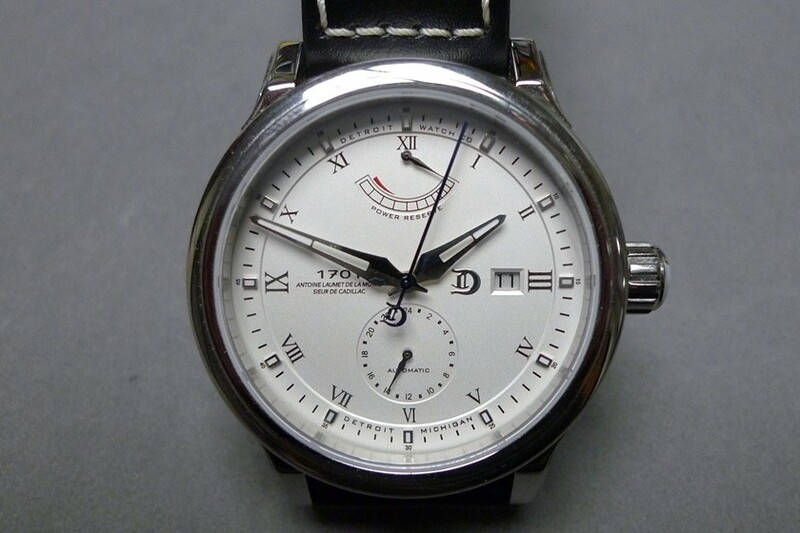 Home Brands Detroit Watch Co Detroit Watch Company 1701, Do I have to Give it Back? 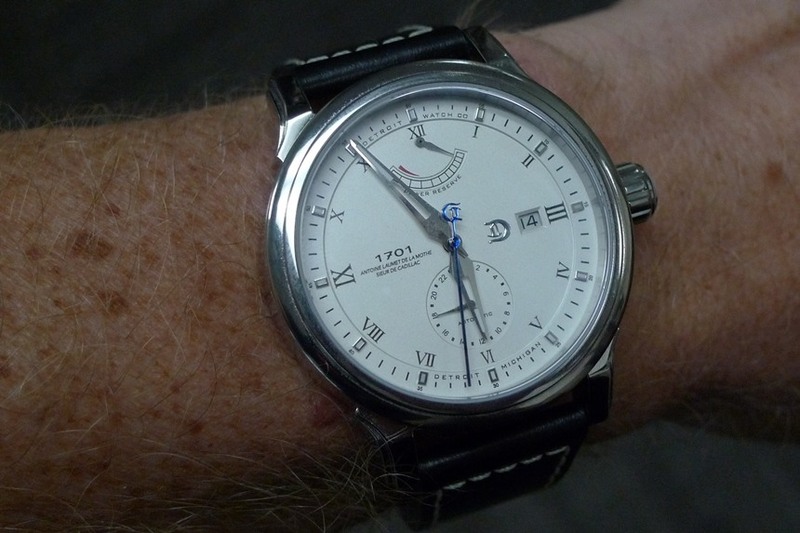 Detroit Watch Company 1701, Do I have to Give it Back? One of the great things about being a watch reviewer is the fact that watch companies will give you the opportunity to wear their watches for a while, gather your thoughts about them, and then review them. The bad part about it is that you have to be ready to part with the watches when you are done. When I opened box for the Detroit Watch Company 1701 automatic, I knew that giving this watch back was going to be tough. This is my favorite watch which I have had the opportunity to review hands-on in my tenure here at WWR. 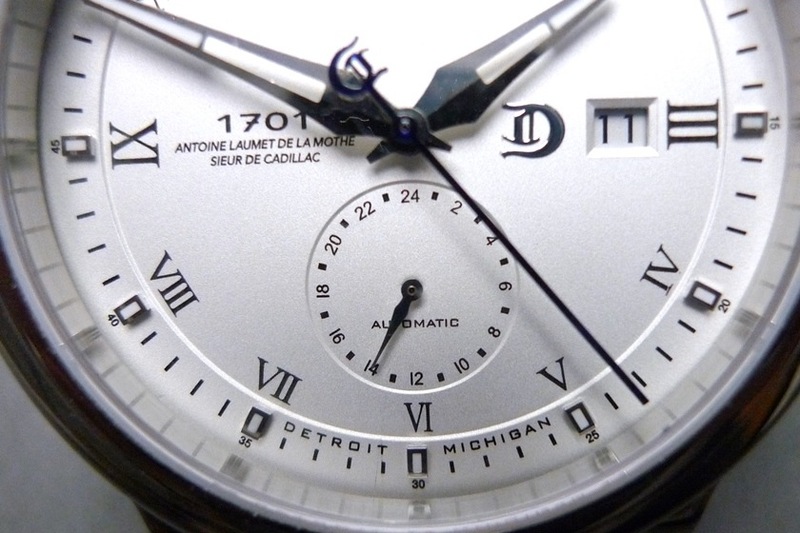 I first became aware of the Detroit Watch Company when I wrote about them in June, highlighting their two inaugural watches, the 1701 and The Pride of Detroit. 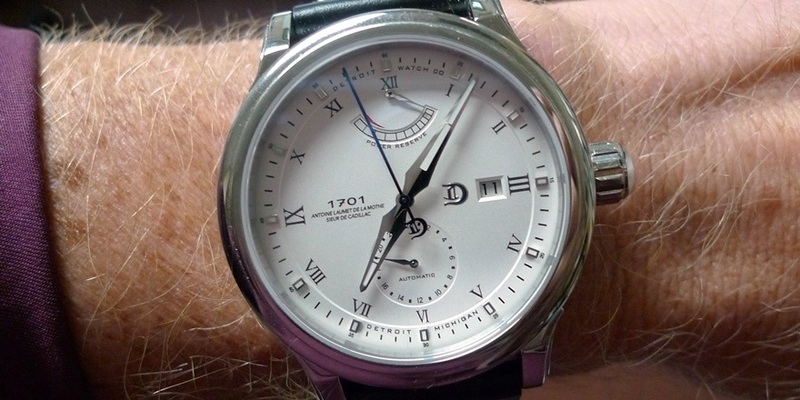 In my first review, I thought the 1701 was attractive, but that there was a lot going on with the design. Not busy, but certainly not sparse either. Having the watch in hand, an on wrist, I now think that there is plenty of real estate for what the watch has to offer. The overall diameter of the polished stainless steel case is 44mm, and the size is put to good use with most of the space for the cream colored dial. There is a 24 hour (non-GMT) hand at 6:00, a date window at 3:00 and a power reserve indicator at noon. Beyond the complications on the dial, there is a slightly raised outer chapter ring with raised polished and lumed indicies, small Roman numeral markings for the hours (the III and IX are relatively oversized), the stylized “D” logo at 3:00 and “1701” and “Antoine Laumet de la Mothe, Sieur de Cadillac” (in very small print) at 9:00. This gentleman, for those (like myself) who are unfamiliar, was the French explorer who founded the fort that would become modern Detroit, in (when else?) 1701. The polished stainless handset is in a modified Losange style, partly skeletonized, with a cut out toward the center and a line of lume near the tip. The blued second hand (which really works well against the cream dial) has the company’s “D” as a counterweight. The crown features a Fleur-de-Lys, as does the caseback. Inside the watch is a reliable 26 jewel Miyota 9132 automatic movement, ticking away at 28,800 vph. The flat crystal is sapphire, and the watch is rated to 5 ATM. The watch comes on a black calfskin leather strap with white stitching and a branded stainless butterfly deployment clasp. 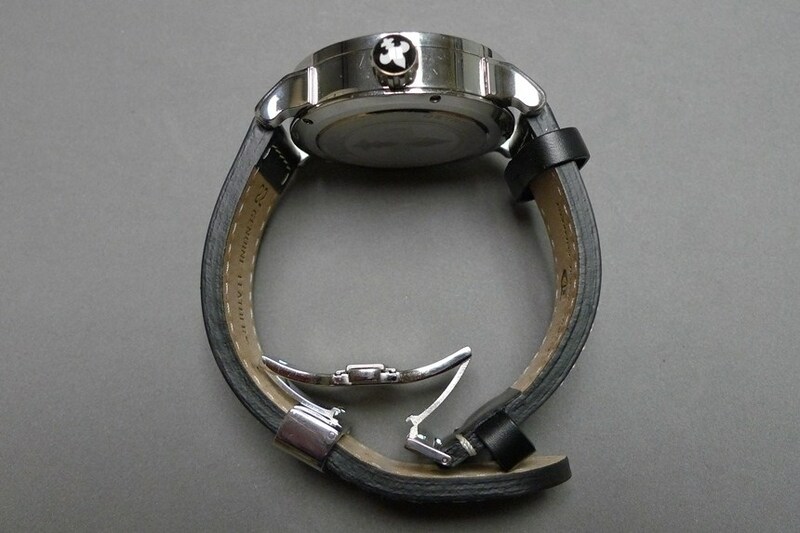 I like the deployment clasp, as it will likely extend the life of the strap, but the strap itself is probably the one thing with the watch that I would consider upgrading. It is nice and thick, which it needs to be to stand up against the robust 13.5mm height of the case, but it is not over supple. Maybe it just needs time to break in a bit. It does wear very comfortably, and after a little adjustment time for the clasp, I found it an easy way to get the watch on. My first impression in opening the watch was that it was an elegant, but also very masculine watch. It is big, but not oversized, it stands tall on the wrist, but it will fit under a shirt cuff, and the cream and polished color scheme works well. Probably the biggest complement is that my wife took an immediate liking to it when she saw it on my wrist. She is tall, and she likes large watches herself, so the size and look of the watch was one that worked for her as well. I would have to size down the strap for her, but she liked how it looked on her wrist. Who’s it for? : I will go out on a limb and say anyone. Would I wear it? : Except on the days when my wife steals it to wear herself, most definitely. What I’d change: The strap could be a little more supple. The best thing about it: It really is a lovely watch, through and through. I don’t know – that site is news to me! I have no idea. 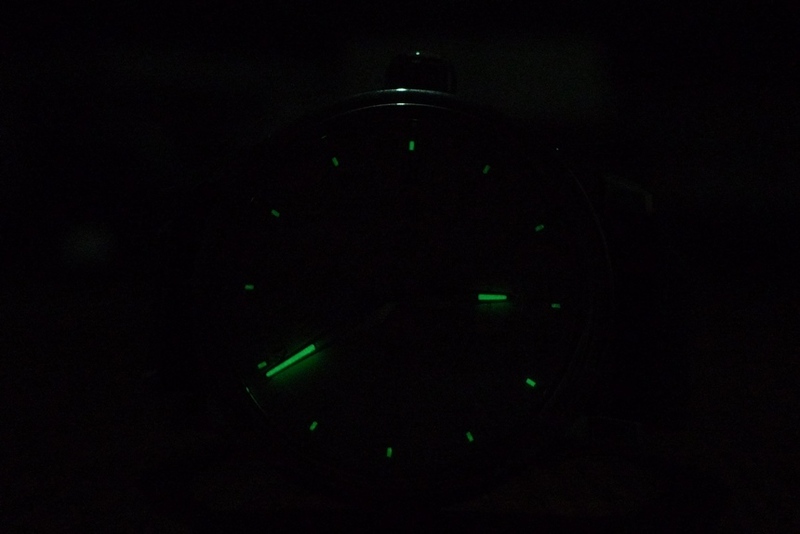 That domain does not link to an active web site, and http://detroitwatchco.com/ is the only site I have associated with the company. They know. Litigation is pending. The other company started first. Considering that the other ‘company’ seems to have nothing but a boilerplate logo and no products, it is hard to really say that they started first.